Mobile applications are software created for mobile devices. It is a computer generated program designed to work on smartphones and other mobile devices. There are millions of mobile applications that have have been launched. The most popular apps that are being used cover many different categories including travel, banking, health and fitness, social networks, games, and news. 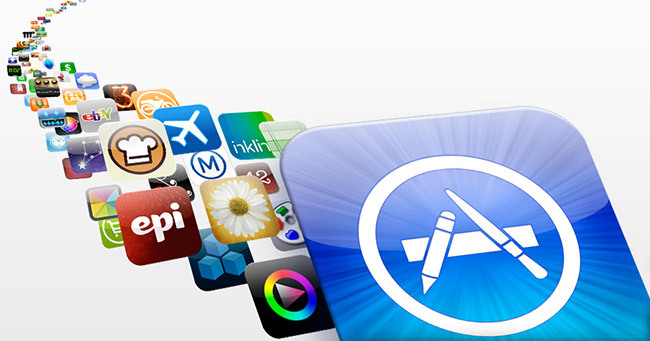 According to a survey , the Apple App Store adds approximately 20,000 new apps every month. It’s not possible to talk about the history of the mobile application without exploring the mobile phone. One of the first cell phones was introduced by John F Mitchell and Dr. Martin Cooper of Motorola in 1973, with a phone weighing just about 4.4 pounds. In 1983, the DynaTac 8000x was the first phone available to consumers. As time has gone on, technology has moved at an amazing rate and now your smartphone can do things like control the temperature of the room while you’re examining your heart rate and blood pressure. In comparison, early cell phones only allowed you to call a few people in your area and you only got about 30-minutes of use before you had to charge it for a long period of time. How did apps come about? There is no doubt that mobile apps play a major role in our lives. It has affected almost all aspects of our life. If you go back in the history of apps, then you will realize that the calculator, many Java games, and the calendar were all part of mobile apps. The first smartphone was loaded with some features such as a world clock, calculator, contact book and a monthly calendar. The BlackBerry smartphone, introduced by RIM in 2002, started many of the innovative ideas of wireless communication that we are familiar with today. Mobile apps became more popular in 2007 when the first iPhone was launched. The iPhone changed everything and it has become more popular all around the world. The next achievement in this field was the launch of the App Store, designed for iOS users, introduced by Apple in 2008. This is the market that many of us are familiar with today. The App Store included a few thousand apps when it launched. The same year that the App Store launched, Android introduced the Android Market. If experts are right, the world will see over 44 billion downloads of different applications by next year. We’ve come a long way since the first app – SMS -was introduced in 1990! After that time, the SMS communication became the go-to app for most people. The first downloadable media content on cell phones was launched in 1998. 2011 marked the first time that application usage was higher than mobile web use. After years of remarkable growth, the mobile application continues to grow. Today, more than a billion people in the world are using at least one mobile application. How Have Apps Impacted Business?